One of Thailand's most famous seaside holiday towns, popular amongst Thais and foreigners, and summer home to HM The King. Find the best car rental deals now! Hua Hin is a popular beach resort town in Thailand, and located on the northern portion of the Malay Peninsula just a 2-3 hour drive from Bangkok sitting in the north. With that in mind, our pick-up point in Hua Hin should be the perfect choice for anyone planning to travel by car up or down the peninsula. The pick-up point is located in the center of Hua Hin, at the popular Grand Hotel and Plaza, which makes picking up your car as easy as sipping a mint julep in the hotel lobby. Rental vehicles available in Hua Hin include the widest selection of cars on the peninsula, and we offer models to fit any budget, and any travel need. With a single search you can find the best car rental deals from 5 top providers — try a search now to find the best rates. 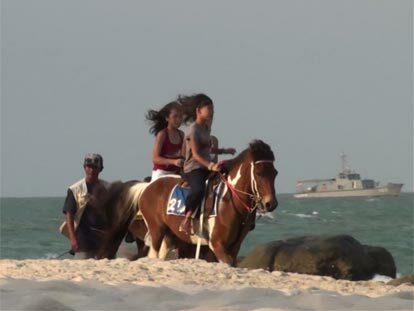 Hua Hin has long been associated with Thai royalty and a favorite beach resort destination for decades. But the beach also attracted others over the ages, as King Prajadhipok (Rama VII) liked the beach so much, he had a summer palace built here. Today Hua Hin’s most important resident is His Majesty the King, and naval ships are often moored off the coast during his visits. 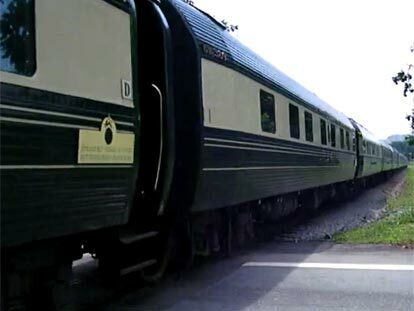 Visit the Hua Hin Railway Station, as its Thailand’s most beautiful. This wooden building used to house a royal pavilion in the Sanamchan Palace but was rebuilt at Hua Hin in 1968 as a transportation depot. Take some photos from Hin Lek Fai Hill, which is located some 3 kilometers west of the central district and is a mountain some 160+ meters high. On top, you will find a public park with some great spots to capture the beach and surrounding area of Hau Hin below. Take a hike to Pa La-u Waterfall, which is an eleven-tiered scenic waterfall located some 60 kilometers west of city center, and is surrounded within a yearlong verdant forest filled with exotic butterflies and birds. If something a little on the strange side appeals, then a trip to the Spirit Houses of Brassiere Beach is in order, where there, according to legend, these spirit houses were built to appease the spirit of a fisherman’s daughter who was torn to pieces and had her breasts thrown into the surf. They say she was killed because she was too desirable, and to this day, the local villagers hang brassieres on their spirit houses and pray for good luck and calm seas. 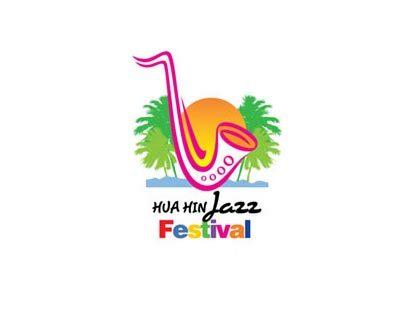 “Jazz on the Beach” is what this festival is all about, and the Hua Hin Jazz Festival attracts world-class jazz musicians that fill the air with jazzy notes day in and day out during the celebration. 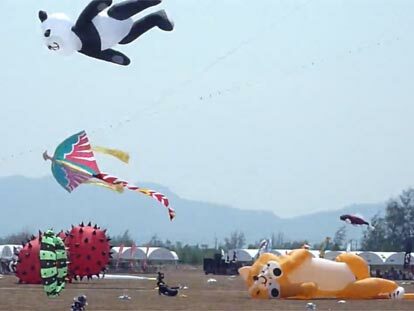 This festival includes kites of all varieties and sizes, and operated by folks serious about competing. From stunt kites to traditional Thai kites, the festival is sure to be fun for the entire family.